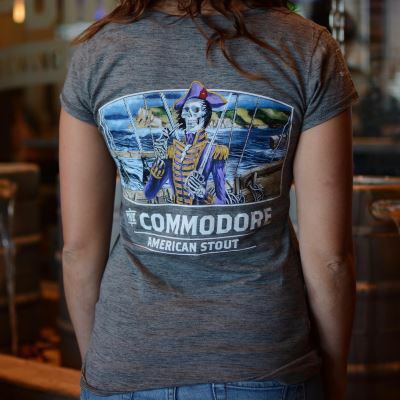 The Commodore came out of our search for a medium-bodied American Stout. The recipe began at our R&D pilot brewery, but quickly became a favorite of our crew. Strong flavors of roast coffee and bittersweet chocolate balance with light citrusy hop aromas, highlighted by a crisp, bitter finish. 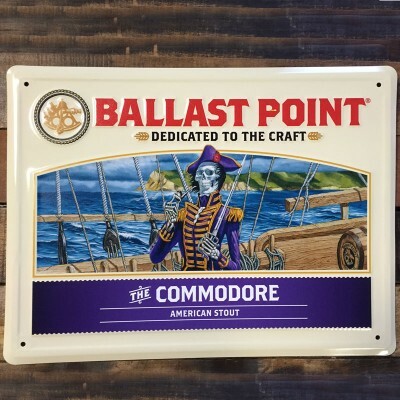 One sip of this gold medal-winning stout will have you ready to take command of your own fleet. From Fernando Bocchio of Sao Paulo, Brazil on 3/27/2016 . I bought that to my wife and she loved it! She is a petite and I bought an M (it fit perfectly - if I boght S it would run tight).